Filling up the mobile Battle Royale market with multiple iterations in different territories, Survivor Royale is NetEase's major new U.S. contender, bringing the very-familiar PUBG and Fortnite formula on your tablet. 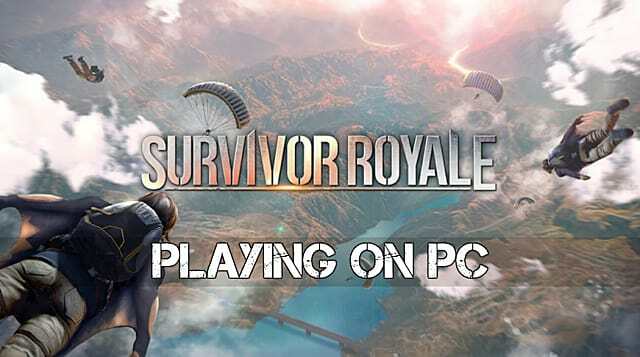 Not everyone is crazy about the tablet user interface, however, so for those who prefer something with more control via a keyboard and mouse setup, it is possible to get the free-to-play Survivor Royale up and running on PC. It might be odd to think that players would want to take a mobile version of a Battle Royale game and put it back on PC (why not just play PUBG instead? ), but there are some big upsides to switching from a phone screen to your computer monitor. The main advantage is the ability to use your preferred keyboard bindings, which gives you a huge boost over the imprecise tablet touch controls that make it hard to line up and fire a shot. Just running around with the touch screen can be frustrating, and driving any vehicles is a major headache. You can generally get around faster and pick up loot more efficiently in Survivor Royale on a PC setup. Unfortunately, you can't just download the app to your PC and run it as an executable file like any other game, as mobile apps aren't designed to run in Windows. First up, you need an Android emulator installed on your computer. If you've ever used a Super NES emulator like ZSNES to play Chrono Trigger or had a dual boot OS computer, you already know essentially what's going on. There's no shortage of Android emulator options: Andy, AMIDuoS, ARChon, Android Studio, Nox, Greymotion, and many more are all readily available to download. The trick is to find one that has the layout and options you prefer. Personally, I'm using Bluestacks to run Survivor Royale on PC, which can be downloaded for free right here. 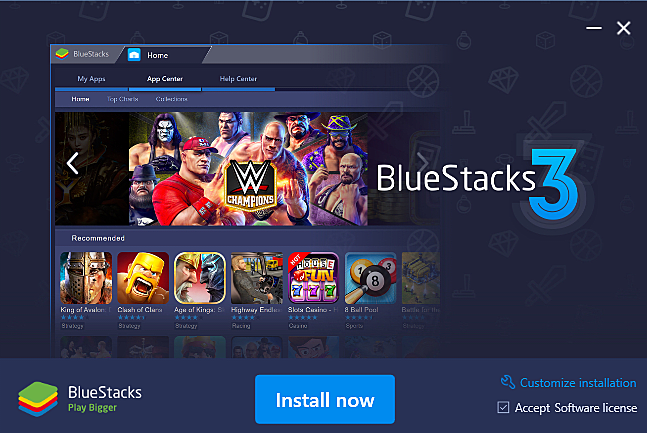 Although it does have ads on the loading screen, what I dig about Bluestacks is that it lets you sign into your Google account and download apps directly from the interface. This is really helpful for the total emulator beginner, since you don't have to waste time searching for individual app APK files from dodgy websites laden with malware. Just search "Battle Royale" in the upper-right screen and go through the standard installation process like you would on your tablet. The downside to using an emulator like this is that it will register your PC as a new Android device on your Google account. This can be an annoyance if you regularly install games through the Google Play store on your computer, as now you have to make sure to open the drop-down menu and choose your tablet instead of your PC for future downloads. 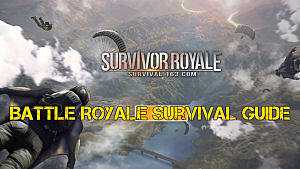 After downloading the app, tab over to My Apps and choose Survivor Royale. Just as with the normal mobile edition, you have to download the extra 521 MB file for the full game. Now that you've got the game up and running, you need to get used to using tablet or phone buttons on the PC screen. The typical Home and Back buttons are located at the bottom left, with the "shake screen" button at the bottom right. 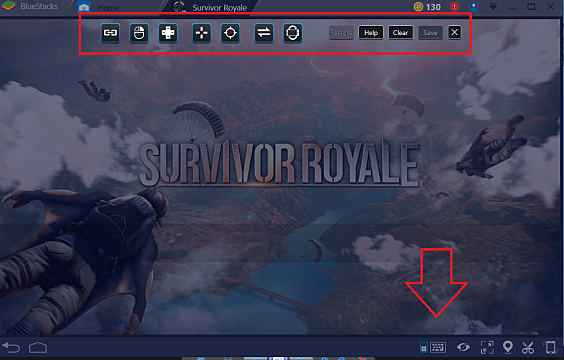 You can also map your keyboard keys to the touch screen buttons by clicking the keyboard icon at the lower-right while Survivor Royale is running. Just click and drag any button to the appropriate location, such as mapping the movement icons to the WASD keys. 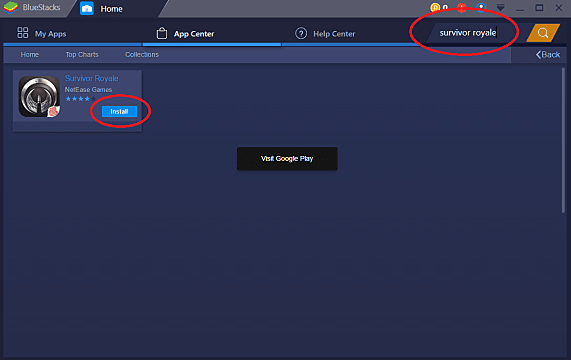 Frequently with games like Survivor Royale, where you have to connect to a server for multiplayer sessions, the app will crash your first time using BlueStacks on PC. Just completely close and then re-open the emulator to re-start the engine and connect to the server again. If it crashes every single time you connect, that means it's time to try out a different emulator, as some Android emulators don't play well with certain PC setups -- depending on your OS and specs. That's all you need to know to get Survivor Royale up and running in Windows! Wondering how to survive the 100-player matches and come out #1? Check out our Survivor Royale beginner's guide to staying alive right here!